Personal blog of a transient twenty something musician, dog lover, and maximalist. About a week after our wedding, Trent and I decided we needed to take a trip somewhere. We had planned to delay our honeymoon until winter, but with the stress of moving, wedding, and big life changes, we decided to treat ourselves to a long weekend trip to San Francisco! We had each traveled to SF before and loved it, but never traveled there as a couple. It just so happened that one of our favorite bands Future Islands was playing a music festival a few weeks later, so we decided to book a trip! 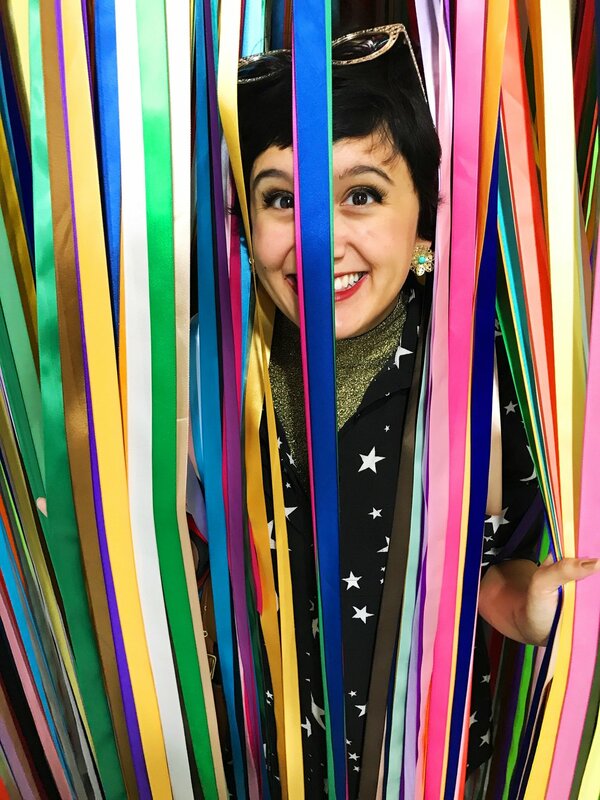 As we began to plan our trip, I remembered seeing one of my favorite colorful bloggers, afashionnerd, post beautiful photos from a new pop up museum in SF, The Color Factory! I immediately searched and discovered the museum had not yet opened to the public, but tickets were already starting to sell out. I was able to secure 2 tickets, and we got to visit this incredible one of a kind space! Unfortunately, the color factory is scheduled to close at the end of September and tickets are now sold out, but I hope that my photos can give you a little glimpse into the wonderful experience we had! many of the rooms had interactive elements, and all of them were filled with, you guessed it, color! Left pictured is my wonderful husband Trent (the primary photographer for this blog) enjoying the life-sized lite brite, and on the right, a giant green doodle wall! 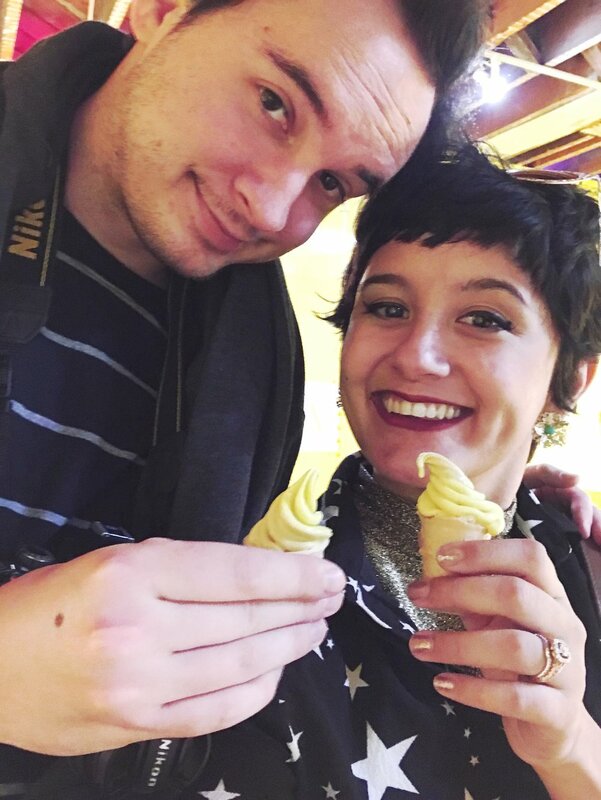 at the end of the museum we were treated to adorable mini yellow ice cream cones! As a baby blogger, I wasn't as diligent as I could have been in taking photos of each and every room, but these are some of my favorites, and others have and will be shared on my instagram page at @kathrynwithdogs! I hope you enjoyed a glimpse at our adventure to the ever-so-bloggable colorfactory! Stay tuned for more colorful, happy things soon!